Airsculpt and Shade sail Blinds are pleased to announce that we have recently enter into an exclusive distribution agreement with high end Italian shading structure supplier. This is to further increase our outdoor designer – commercial and domestic – all weather living space options. 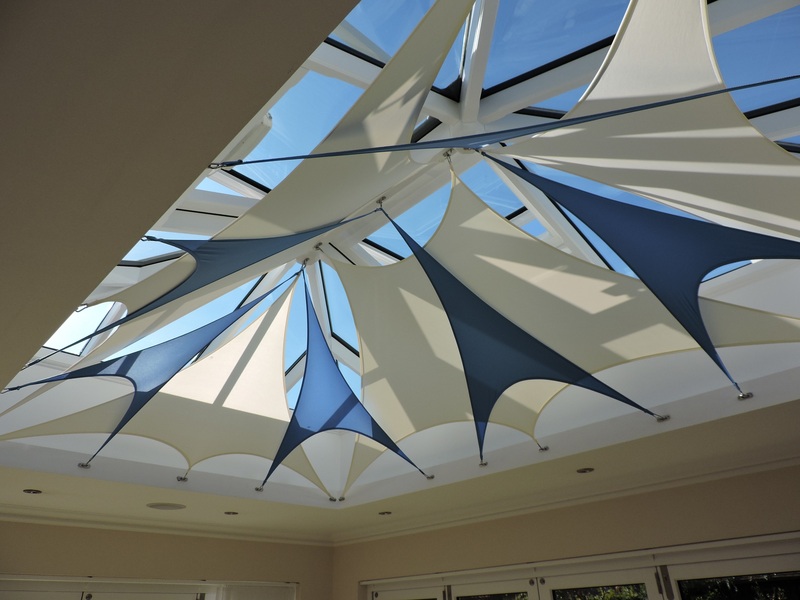 As our customers know, Shade Sail Blinds work with exciting alternatives to traditional shading and fabric architecture including internal atrium / conservatory shading, professional all-weather canopies to create truly useful and stylish living spaces. 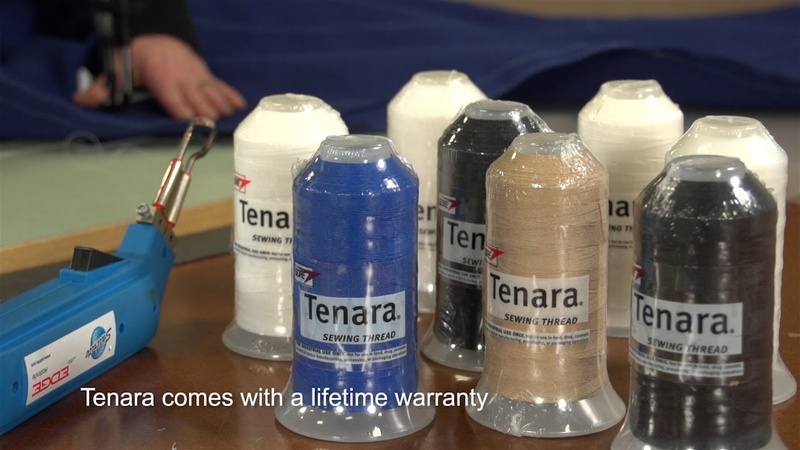 With our new Italian partnership Company in place, we are able to -offer our customers premium exterior designer style without impacting on the superior quality which we are know for. The designs above show a relatively new approach to creating exterior shading and delivering upon an all weather solution for providing effective and stunning outdoor spaces. Transforming outside areas into stylish and functional spaces, regardless of what the weather has in store. 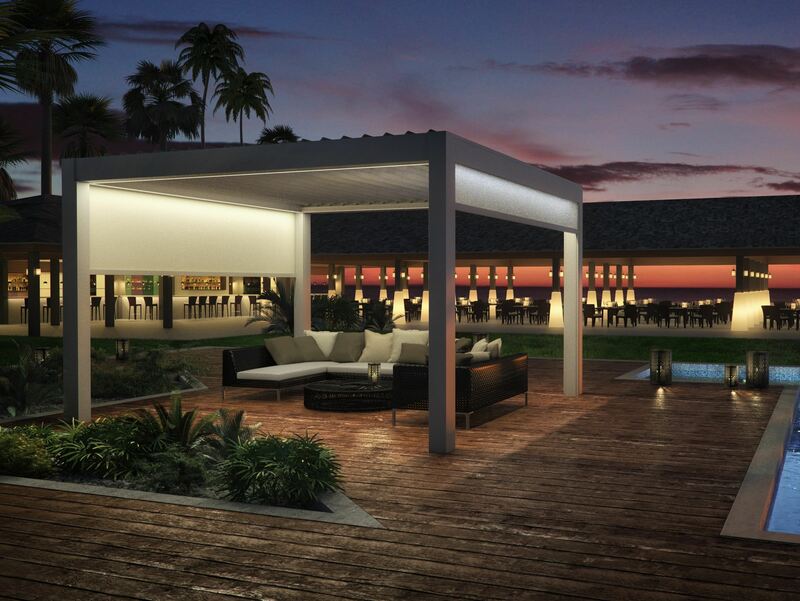 With simple and crisp linear lines all the outdoor structures with this premium range ooze style and quality. 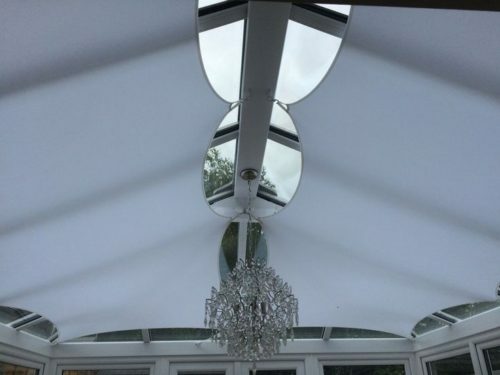 Constructed form of specialist aluminium and engineered to surpass all EU construction codes the product range is of higher standard than others in the same sector. Structures such as these create a welcoming and practical outdoor space with an alfresco atmosphere, allowing the transform any outdoor space into a luxury area for both commercial and domestic customers alike. Allowing luxury hotels, premium bars & clubs etc. to increase customer potential by creating additional stylish and welcoming outdoor areas for guests. Full enclosed environment – built specifically for your site and colour requirements. Open or closed sidings with choice of fabric or glass solutions. All weather protection or just partial shading. Automatic closure systems, allowing structures to be fully open, partially open or closed to protect against all types of weather. Approved EU engineering’s and wind loadings. 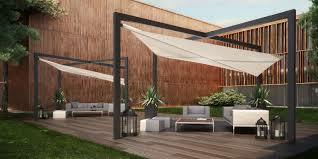 This new range of automated Shade Sails, Canopies, Pergolas and Loggia style structures are engineered with state of the art technology; allowing waterproof sails be extended or retracted automatically depending upon wind speed, or, roofs to be open and closed on Pergolas and Loggia’s to allow as much or as little sunlight to filter below. With high specification and robust electric motors integrated into all structures and optional anemometer or remote control, operation of the structures couldn’t be any more simpler. 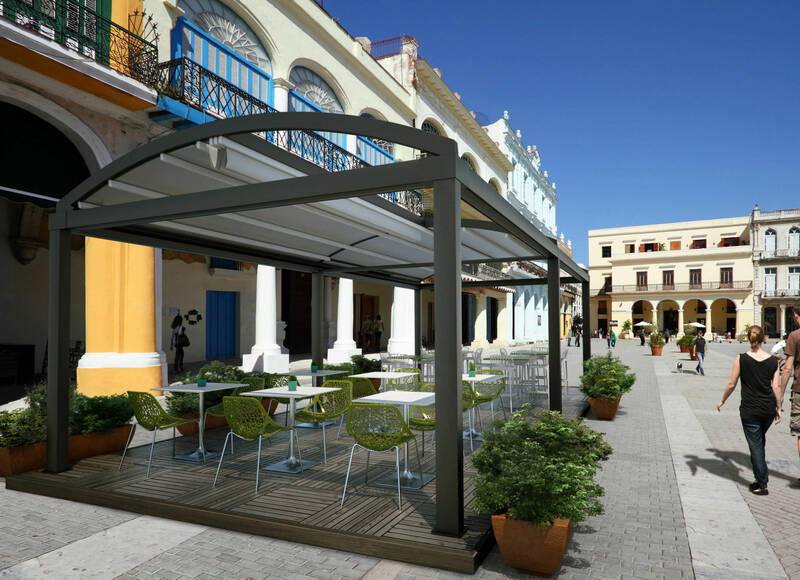 The result is an elegant and versatile range of all-weather outdoor structures and shade sail systems that can be increase the use of outdoor spaces without compromising on the feel or luxury. 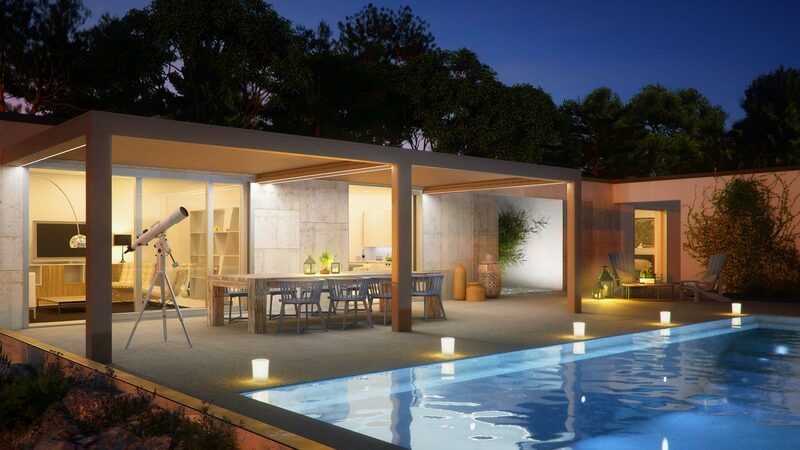 With the open-air spaces we can now provide, you can enjoy the outdoor regardless of the season in perfect comfort in terms of temperature, light and ventilation. 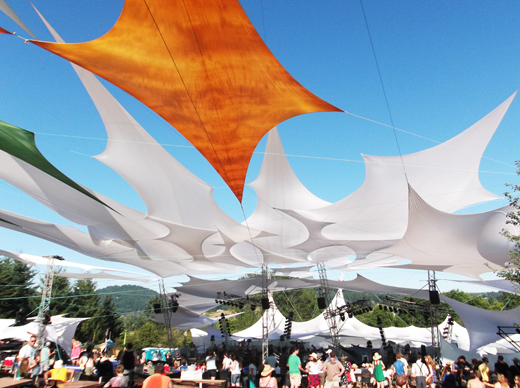 Shade Sail Blinds is always looking to put forward the best in product, design, engineering, quality and innovation in our market sector. Additionally we provide cost efficiency, style, quality and bespoke solutions that suits to our individual client’s needs. That is whey we are sure this new distribution partnership will add benefits to us and our customers alike.